The following Experts of Orchid Care guest post is an interview with Prem Subrahmanyam, an award-winning orchid photographer who’s works have appeared in various magazine publications, textbooks, educational displays, orchid society newsletters, and brochures. Ryan: You share a wealth of knowledge on your website and blog. 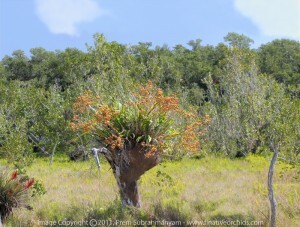 Tell us about your website FLNativeOrchids.com Where in Florida do you travel to photograph orchids? 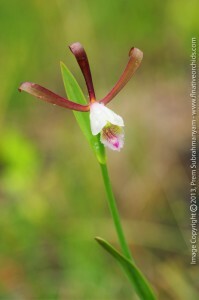 Prem: My website is actually the second generation of my Florida native orchid gallery begun in the early 2000s. 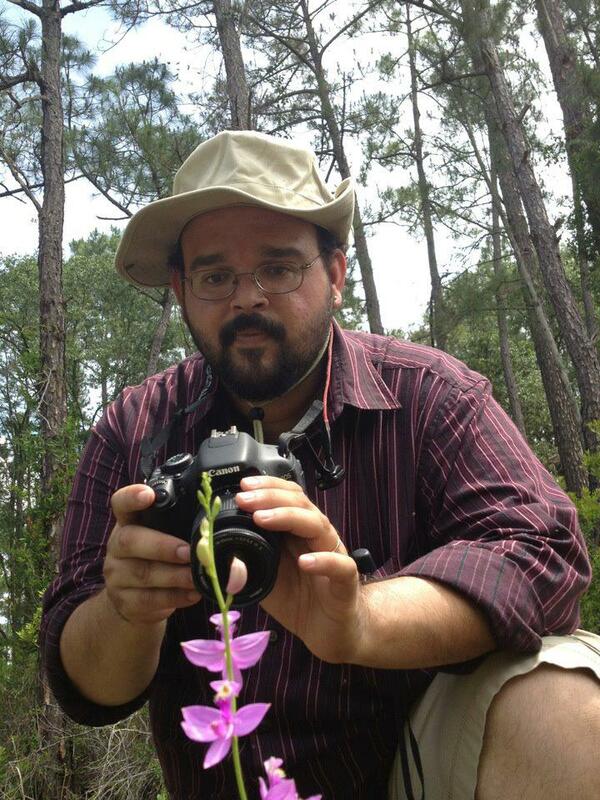 I had just gotten a digital camera and began experimenting first with photographing cultivated orchids in a studio setup, then taking those same techniques out into the field to photograph Florida’s wild orchids. 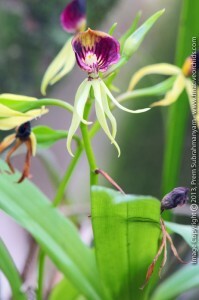 In 2009, FLNativeOrchids.com was born as a more formal venture in showcasing my orchid photography and information. My earlier years were spent primarily in the northern panhandle region of Florida, with occasional forays into central Florida. Since moving to the Orlando area, I have focused more on central-to-southern Florida to see species that I hadn’t seen previously. Ryan: What made you decide to start writing about native orchids in Florida? Prem: I fell in love with orchids as a teenager after reading a National Geographic article about them. It wasn’t so much their beauty as all their interesting mechanisms for attracting and using pollinators for their own purposes: Many orchids use very cleverly designed traps, disguises, exploding sacs of cement, etc. to achieve their goal of reproduction, many times outright deceiving and taking advantage of their pollinators. I soon discovered that the United States, and Florida in particular, was host to many orchid species as well. Around my 15th birthday, my parents bought me Carl Luer’s book The Native Orchids of Florida. At that point, my fate was sealed. I found many orchid species growing right near my boyhood home and took to studying them in the wild. Several decades later, it just seemed that it was time to share that knowledge with others on-line, and thus the website was born. Ryan: What’s your favorite orchid you’ve photographed and why? 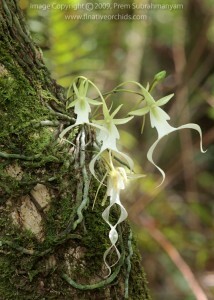 Prem: That would have to be the ghost orchid, Dendrophylax lindenii. It is one of the largest orchid flowers in the state, belonging to a most unusual plant that grows in only the most southern swamps in our state. Quite a few species of orchids, including D. lindenii, have permanently shed their leaves in favor of performing all their photosynthetic food production via their roots. As a result, the plant itself is not terribly conspicuous when out of flower. When in flower, the slender flower stem emerges from the growing center between these roots to arch out into the air away from the host tree. This gives the effect of the flower levitating in mid-air. When you see your first ghost orchid in the swamps, it is a truly amazing experience. One time, I had the privilege of hiking out with a group of nature photographers to see a plant with three flowers open, one bud almost opened, and one spent flower growing a new seed pod. This particular photo has been my most popular at talks and shows. Ryan: Your photographs are amazing! What do you use to photograph orchids in the wild? Prem: First, thank you for the compliment! I have used several cameras, from a 4 megapixel Sony “prosumer” camera back in the early years, to a Canon T3i as my latest camera. My lens of choice for most orchid photos is a Sigma 105mm macro lens…this allows me to get close to my subjects, which can be quite small. I try to use natural light whenever possible, but for those dark or windy situations, I have a 580 EX II Speedlite flash with an off-shoe cable along with diffusers and reflectors to get the light just right. Prem: Florida, even though it is highly developed in some portions of the state, still has many wild lands to explore, from local parks and preserves, to state parks, state forests, national forests, and national parks. There are many places where one can still observe a taste of what our state used to be like all over. Wild orchids still bloom here, generally secreted away here and there, but sometimes out in the open in surprising abundance. It is simply a matter of educating yourself on what can be found, where and when, and getting out and finding them. Prem: I do fear that in a generation or two, many of our rarer orchids will be lost due to our continued encroachment into the wild, along with our insatiable desire to “own” something and thus take it home with us, most likely to die once plucked out of its native environment. It is my sincere hope that more will be done to protect the orchids that we have, along with performing more research into artificial cultivation methods that can be used to shore up some of these rare orchid populations. Prem Subrahmanyam is an award-winning photographer who lives in Florida – where he has an unbelievable collection of fascinating orchid photos. 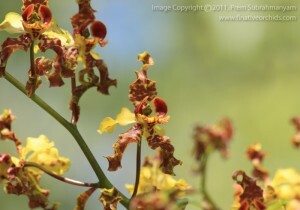 To get in touch with Prem and learn more about his exciting orchid photos, check out his blog by visiting http://www.FLNativeOrchids.com.